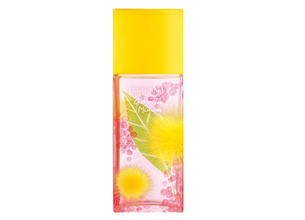 Inspired by the animated pom poms of the mimosa flower, Green Tea Mimosa Eau de Toilette Spray, is the refreshing accent to every summer look. Top notes of Green Tea intermingle with citrus to dazzle; awakening your senses. Bubbly Moroccan Mimosa Absolute wraps you in a youthful aura, breathing life into the still summer air with a soft finale of Heliotrope and Ambrette Seed.